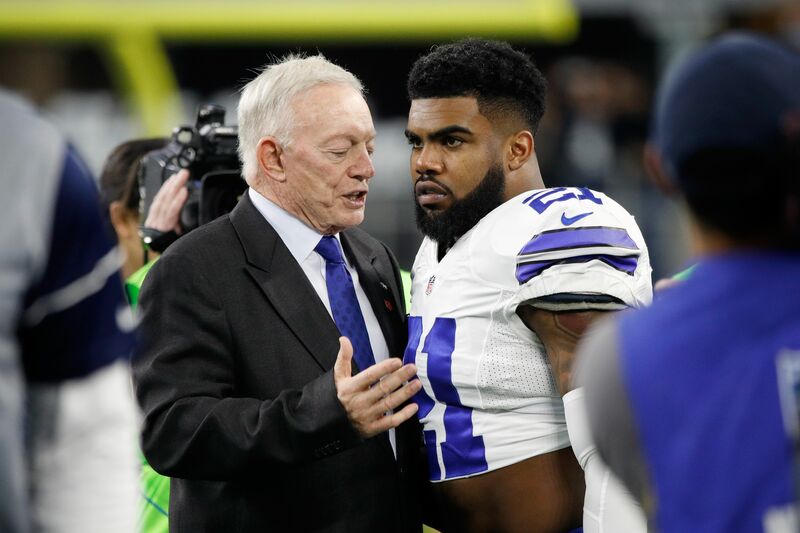 The NFL hasn’t decided on a potential suspension for Ezekiel Elliott, but owner Jerry Jones expects a decision pretty soon. The Dallas Cowboys have been in a little bit of trouble with the law lately. First, it was RB Ezekiel Elliott, who’s been involved in a case regarding a domestic violence incident. Next, it was WR/KR Lucky Whitehead, who was about to be arrested for shoplifting. The Cowboys ended up releasing Whitehead — who actually turned out to be completely innocent. On the other hand, Dallas has still held on to Elliott and the NFL hasn’t made a decision on the Cowboys’ starting running back yet. Roger Goodell and the NFL have been investigating Elliott and this case for more than a year now, but they haven’t made a decision yet. ESPN’s Adam Schefter reported earlier that the Cowboys are bracing for a suspension for their starting running back. I think we’ll have a decision imminently. Of course, I don’t know what that will be and wouldn’t want to have conjecture in any way involving that. What I have seen, though, is the presentation of Zeke and his people, and I’ve seen the league’s presentation. There’s no domestic violence involved here. It sure sounds like Jones isn’t worried at all about a potential suspension for Elliot. The NFL probably going to have to hold off until after August 5, when Jones is being inducted into the Hall of Fame. Either way, it seems to be a big blow for the Cowboys, who might be without the best running back in the league for the few weeks of the season.